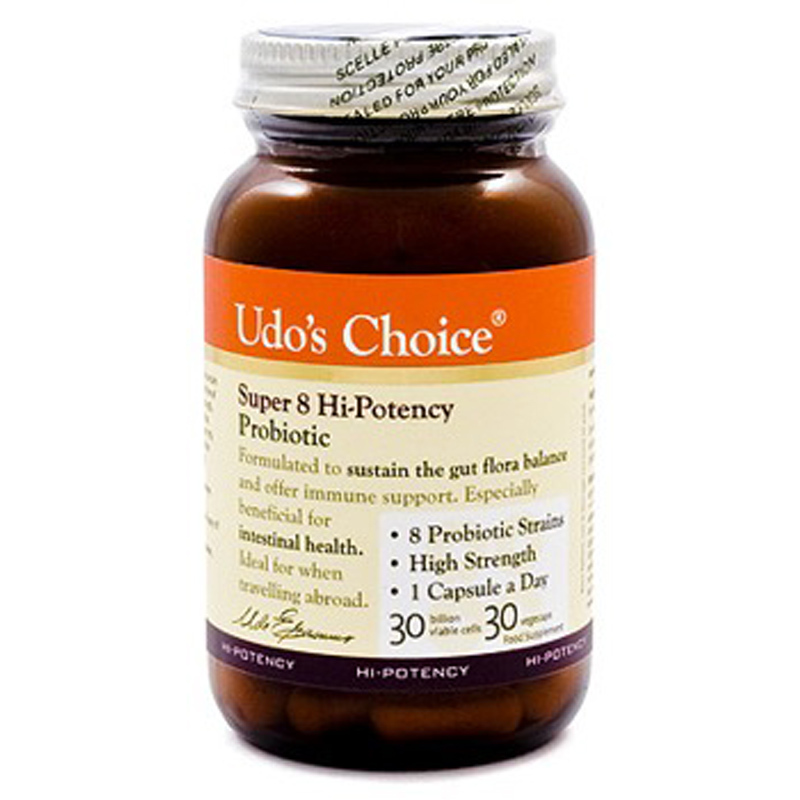 Each Super 8 Probiotic capsule guarantees 20 billion viable organisms of beneficial bacteria that are absolutely essential for proper digestion and overall health. These practitioner-strength probiotics are some of the very best available on the market. In a base of beet root fibre, and maltodextrin in easy-to-swallow vegetarian capsules. Our enzymes are expressed in FCC units of activity. This is internationally regarded as the most accurate method to express levels of enzyme potency. Developed by Dr Udo Erasmus. Safe to take while pregnant. Store in a cool, dry place. Keep out of reach of children. Suitable for vegetarians. Dairy free. Suggested use: Consume 1 capsule before meals. For heavy meals: Consume an additional capsule during the meal. Capsules can be opened and contents sprinkled over food (not piping hot) if desired. Enzymes are heat sensitive. Do not take them with very hot items. Caution: In case of ulcer, do not take on a empty stomach.